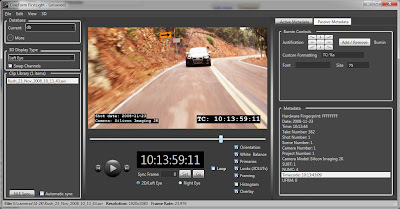 This post showcases one of the many applications for the CineForm codec. BrainSalt Media uses CineForm decoders to drive 16 seamlessly tiled projectors on a 250 square meter curve screen for an awesome virtual aquarium installation in China. Search on Macau City of Dreams on Youtube for spinets of these huge screens. P.S. I have just heard that domed presentation above won an award -- Themed Entertainment Association Award 2009. Remember that is 1.8GPixels per second running from a CineForm fully software/CPU based decoder. I'm am enlisting your help (testers needed) -- details at the end of this post *. CineForm file virtualization has been done before such that 2K DPX files can be played in real-time (24p) off a bandwidth limited device like a thumb-drive (this was done at a facility outside of CineForm -- there are some very smart users out there.) As the CineForm compression (and decompression) is so fast, the increase in CPU load is often less that percentage of bandwidth load that uncompressed DPX consumes. e.g. DPX playback might take 70% of you RAID bandwidth, yet DPX-C would use 30% of modern CPU for the same playback rate and only 10-15% of RAID. This means DPX-C is will produce greater throughput even as is moves some of the disk load to CPU load -- it is a good trade-off. Encoding can be virtualized in the same way, enabling a render farm to export standard 10-bit RGB DPX files to a volume that automatically stores DPX-C files, greatly improving network performance at the same time. This DPX to DPX-C virtualization solves the problem of trying to render farm frame directly in a stream media file -- frames don't arrive in order, and CineForm is a variable length format, meaning some frames are bigger than others. DPX to MOV virtualization would require file padding or a constant bit-rate designs, both are undesirable -- not such issue with DPX-C files. While a wide range of virtualization configurations are possible, DPX to DPX-C is the simpliest, particularly as file naming would be identical, allowing switching between virtualized and extracted DPX files as needed. The ultimate goal is to virtualize DPX to those tools that need it, while encouraging native support in existing tools. DPX-C files will contain any the CineForm compression types from 422, 444, 4444 and RAW (anyone for a DPX-C CineForm RAW still camera?) The first tools to add DPX-C will be CineDDR and Drastic's DDR recorders and virtual decks. The DPX-C was needed for better VTR emulation, allowing telecine sessions to operate with normal inserts without creating overlapping AVI/MOV files, that may need to be re-ordered into the virtual tape. With these products the DPX-C file sequences can be simply and losslessly parsed into MOV or AVI streams for archive or downstream processing. ** We looking for a developer who has implemented virtual file systems based of FUSE or similar for all platforms (Windows, OS-X and Linux -- we will need Win/OS-X versions first.) We believe a FUSE/MacFUSE implementation would be straight forward, we just have too many projects internally at the moment, and will consider contracting this part out. Of course if we can't find the right person or team, links to good samples would be helpful, as we want this to happen as soon as we can. Several developers are now using this format, thinks to all the testing users performed for us. We end up using a variation on type-E, being the most compatible and extra useful in image browsing systems as the thumbnail was stored before the compressed image data. For the more complete technical specification on DPX-C, please visit the CineForm Techblog. Within v4.3 or (greater) of Neo and Prospect PC tools, the DPX2CF and CF2DPX utilities now support the DPX-C foramt. This will likely be the first Canon still camera I ever own. Had plenty of Canon video cameras, but I've been a Pentax guy for years (my lens collection has kept me there,) but the video features of the Canon 7D will change that. While the 5D Mk-II produces some awesome looking motion images, the 30.0fps has been a complete pain. We competed against several 5D movies for San Diego's last 48 Hour Film Project, and some of those teams didn't follows the rules and submitted 30.0 masters (we had to convert them all to 29.97 for presentation.) For the 50 teams that submitted, everything was presented at 1080p23.976 except the 5DmkII films -- I'm sure none of those filmmakers wanted to shoot 30p. So the big fix for the 7D, the camera also supports 29.97 and 23.976 -- these frame rates make much more sense for the filmmaker. Now the 7D is still a heavily compressed I-frame H.264 4:2:0 8-bit, so like the 5D, we will see a huge attach-rate to our Neo product lines (Mac and PC.) The decoder speed of H.264 is poor, so many convert to CineForm just for the improved editing speed. Now for some speculation, we're hoping the Live View is now full 1080i/p over HDMI, and that the burn-ins can be turned off, as then you would able to capture directly, bypassing the H.264 compression. Fingers crossed! If this came true, the 23.976p mode will likely go out as 60i, with pulldown (for wider display compatibility), fortunately we can remove that on the fly. In addition to removing compression issues, the HDMI preview may be 4:2:2, rather than just 4:2:0, so it will be nicer for keying. It will still be 8-bit -- but for a $1700 camera, with tethering recording with much lighter compression (via BM Instensity or AJA Xena/IOexpress) -- you can't beat it. We look forward to testing and optimizing our workflow for this new camera. Check both films out on Vimeo in HD, or just watch embedded. The Case of the Wild Hare from David Newman on Vimeo. 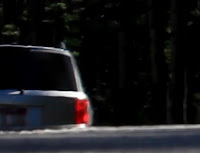 Touch from Jake Segraves on Vimeo. Now for the technical: one film used an SI-2K (running beta 2.0 software -- nice), a Kenyon gyro stabler (interesting), and range of 30+ year-old C-mount primes and zooms (classic), the other used an HV30 with a lens adapter with Canon still lenses. Can you tell which is which? Shooting technology is clearly only a small factor in making an enjoyable film, as both films won against very polished projects shooting from 5Ds to Red Ones. While the shooting technology could hardly me more different, the post workflows where very alike. Editing was done is Premiere Pro CS3 (Windows) on i7s or dual quad Core2 Intel systems (OSes range form XP64 to Win7.) CS4 wasn't used only for HDSDI monitoring reasons, as we haven't got that working yet. CS4 would have helped as we always used the beta features of our own tools, and one of the new features only worked in CS4 (we didn't realize until mid-post.) Both films where shoot for 2.35:1 presentation, as 16:9 has become so TV like these days. The new feature that neither team got to use was an addition to First Light, enabling 2.35:1 crop and centering as Active Metadata -- would have saved some time in post for positioning and rendering. First Light was used extensively on both projects, all grading was done as a real-time operation in First Light, particularly aided with the new auto sync. 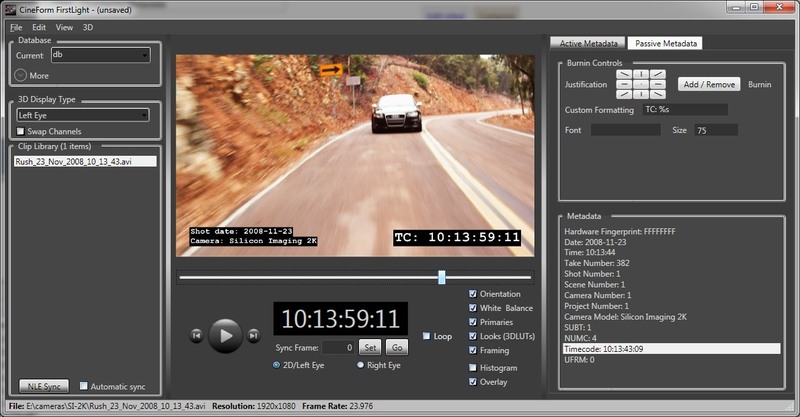 feature which keeps First Light connected with the NLE's timeline. No color correction was needed within Premiere itself. More on First Light. One thing that helped us was a range of 3D LUTs (look files) that we have been preparing for sometime. These LUTs are now available for download to use with your Neo HD/4K and Prospect under Windows (Mac versions soon.) In such compressed schedule, you get very little time to work on your look, I think I put about 30-40 minutes into color correcting Wild Hare, about twice the time I had for color work for last year's project, but it is not much so prepared LUTs helped greatly. The Active Metadata LUT system, works on the final output for the image, with all the linear light processing for white balance, color matrixing (saturation) and channel gains, lift, and gamma being applied to the input of the LUT. This makes it pretty easy to mix and match a range of sources to produce on common look (stylized or not.) As I was working with two co-directors, one of whom had never working in film before (only stage work), I prepared different look profiles as switchable color databases, so the entire timeline could have is look/style switched dynamically. This helped showcase possible finishing styles without impacting the editing session, which went into 47th hour. Here is an example of a before and after First Light processing. For theatrical presentation we were prepared to use a Wafian F-1 as a playback server, which has worked flawlessly in previous years, and is not so rarely used for this purpose (as works really well -- F-1(s) where use to present HD at Comicon.) Unfortunately an hour before the first theatrical presentation the drive sled that goes into the Wafian crashed. This piece of bad luck put as in a panic, as it was going to take more than the remaining hour to prep a new drive with the 23 films that were screening that evening. Fortunately Tim had been experimenting with scheduled playback using, CineForm AVIs, a Blackmagic card and the open source Media Player Classic, and his system than all the films on it. Basically a cheap PC with a $300 HDSDI card hooked to a theater projector, become an awesome 10-bit 1080p presentation system. This was not flawless, it stopped about 7 films into the second screening group (resulting in 45 seconds of black as Tim run up into the projection booth to give MPC a kick.) While a Wafian would never have done that, the cheapness of this presentation solution made us pursue the same setup the next night and for the best of San Diego screening. There is still work to tweak this solution, but something like this is needed, as it is crazy that San Diego is still the only city to project in HD for this international festival, this being San Diego's third HD year. Extending our experience from the local festival,we want every festival to stop presenting DVDs or Beta (still so common,) when most sources are film or now HD or originated. The solution has got to be cheap and simple, to allow for last minute playlist changes for pre-rolls, differing frame rates (24p, 30p and 60i,) audio level adjustments and skipping bars and tone, etc, i.e. BluRay will not do. We had one beautifully master film this year, that had the wrong black levels, put it through First Light, fixed it in seconds without any rendering. Duane Trammel, San Diego 48 Hour producer, used the playlist flexibility, to inter-cut interviews with several of the filmmakers in this short problem -- it was a pretty cool touch. More of this style of flexible is what is needed, and we are hoping to help. Something closer to home. This weekend I will be presenting part of the editing panel, covering post for the 48 Hour Film Project. If you have read here at all, you know I'm a big fan of this competition. I will be at the SaVille Theater at San Diego City College from around 1pm through 5pm, this Saturday. Primarily I will be showing local 48 Hour teams how to produce HD masters that are ready for projection. If you are putting a team in this year, and many already are (almost at capacity for teams now), and if you can't come to this session, please read up on the new HD submission guidelines -- And practice before the competition weekend. The a seminars on film making for this competition (and others) starting at 10am, you can see them all for only $15 -- more info here. For last 5 years CineForm as put a team in this touring film making competition. In the last two we have sponsored the event by providing HD playback and HD up-res services for those submission that need it (everything is converted to CineForm AVI/MOVs for playback.) San Diego's 48 Hour is still the only city that is allows HD submissions for 1080p projection. This year we expanding, we are helping in Filmmaker Seminars in the weeks before, and we are putting in two teams this year to the competition -- this is not part of the sponsorship we pay like everyone else, and we don't even use the company name for these teams, never have -- always just for fun. In addition to the NAB Filmmaking Central on the last blog post, we've had great written coverage from Adam Wilt's NAB wrap-up and a long two part interview with Fresh DV covering 3D from production & post through distribution. While the camera is in way too much of a close up on my head (thanks to Dave Basulto of Filmmaking Central), you can see some of what CineForm is showing at NAB this year in this video interview. When CineForm developed the first RAW video compression (yes ages before those other guys,) we developed a related feature called Active Metadata. You see the problem with RAW imaging is the more RAW it is, the more boring it looks, frustrating to constantly explain to you film's investors, "yes it is supposed to look flat, with low contrast and green." Active Metadata came to rescue, allowing the cinematographer to specify how the image should be development upon decode, while preserving the internal flat, low contrast image for the most flexibility in downstream finishing. Users of the SI-2K have been loving this feature for years, as the camera had a lite version Iridas SpeedGrade OnSet built in for cool color development controls, but at less than 1% of the whole market, and Active Metadata support was RAW sources only, this feature wasn't getting the attention it deserved. While back we added Active Metadata support for 4:2:2 and 4:4:4 CineForm encodes, but still many CineForm users didn't take advantage as the the controls where limited within Prospect 4K, as they were always intended to be replaced by a standalone tool -- First Light. First Light is only weeks away, arriving in time for NAB -- coincidence? The press release went out today so you will all visit us at NAB, but it only talks about the renderless color workflow, which is only scratching the surface for what First Light will be doing in the future, some of it future abilities will even be shown at NAB. First Light will be available for all version 4.x users of Prospect HD/4K, Neo HD/4k on Mac and PC platforms. Version 4.x will start shipping before NAB. Another Canon 5D Mk-II post, you would think I owned one, I don't -- Canon can you help me solve that? It is the camera's behavior that has caught my interest, plus the large video post market it is generated. Neo Scene has a 10-bit solution. Reducing the 8-bit data from 255 levels to only 220 levels (with 16-219) something will always be lost, so we bump the data to 10-bit first, a 0 to 1023 range, then reduce that data to the 10-bit YUV standard range of 64-940, which has the precision to maintain all the source levels without introducing image banding. 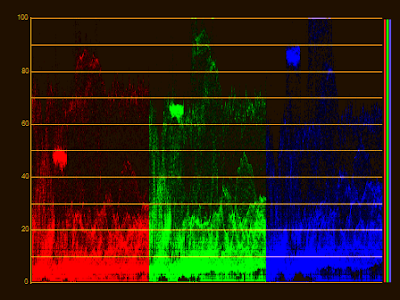 It is this 10-bit range-corrected data that we compress to CineForm from the Canon 5D Mk-II. 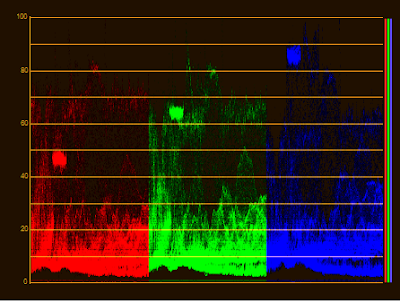 By normalizing the Canon 5D data, the full dynamic range is now preserved in all editing and viewing environments. We will be adding this feature to all our products over the next few weeks. I been seeing many posts on how crushed the black levels and highlights are with the Canon 5D video mode. Stu Maschwitz has a great post on how to tweak the camera to improve the situation, but also points out the default presentation FCP is also wrong. It turns out that this presentation fault is in all popular editing packages on Mac and PC. They could possibly share the same AVC decoder, but I have a different theory below. Using a 5D MOV video originally posted DPReview.com, here you can see the clipping that occurs within tools like Vegas, Premiere Pro and FCP when directly opening the MOV files. This zoomed in section shows much of the tree details are crushed into the blacks, when compared to the same sequence converted to an AVI using HDLink with CineForm NEO HD. 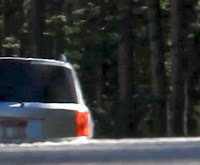 After some image enhancement, the black truncation becomes more apparent. 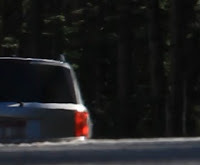 These images where manipulated with a 32-bit levels filter (it is not truncating the data) so we see how much data is being lost, a failure to see "the trees from the forest" type of problem. One common reason for all this error, is the camera H.264 I-frame compression is using 4:2:0 YUV, where display black is 16 and white is 235 out of a 0-255 luma range. If the NLE took this YUV data directly, everything should be fine, but instead is likely going through series YUV to RGB transforms that are truncating the data. Most NLEs extracting RGB from YUV sources map the 16-235 YUV to 0 to 255 RGB, truncating data in the supers, yet it turns out the Canon 5D doesn't even use much in super range (blacks between 0-15 and whites up to 255) as this non-truncated luma histogram shows: It seems that the 5D is limiting the output to broadcast standards (yet another thing the 5D does wrong for video heading for post.) Whereas most video cameras do use the extra range, they assume the broadcast limiting will be handled in post (as they should.) 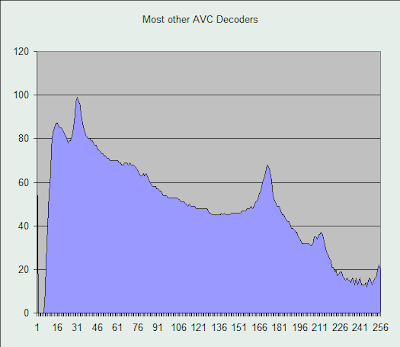 So the NLE's mapping of the 16-235 to 0-255 RGB is actually not the issue, somehow the H.264/AVC decoder used is actually mapping a range like 30-220 only into the NLE space. I have not seem such a big error before, which makes me think there an incorrect flag in the 5D bit-stream that is causing the use of the wrong output math. Luckly within CineForm NEO HD we use direct YUV to YUV conversion wherever possible, this eliminates many trunction errors, and preserves highlight for mulitple camera sources. In current version of NEO/Prospect HD (v3.4) we don't ship an AVC decoder, so NEO HD searches out for registered decoders already installed, resulting in some users reporting this error and others not so. So the failure is AVC decoder dependent, although this may not be a bug in the decoders, as they all handle regular AVCHD sources without issue (again leading me to believe there is something wrong/different in the 5D bit-stream.) The one AVC decoder that produces the full range of YUV range is CoreAVC. We have been recommending it to AVCHD users as it is both fast and inexpensive (only $15), but it seems it might have extra value for those trying to get the most out of their Canon 5Ds. In our next major release of NEO HD (and up) we intend to direct support Canon 5D, yet in the meantime for those using CineForm products I recommend you get CoreAVC, the latest version of NEO or Prospect which now favors CoreAVC over any other AVC decoder it might find. This version is currently in public beta and will likely become official in a day or so. Update 1: The new software is now released and available for upgrade or trial directly from cineform.com. 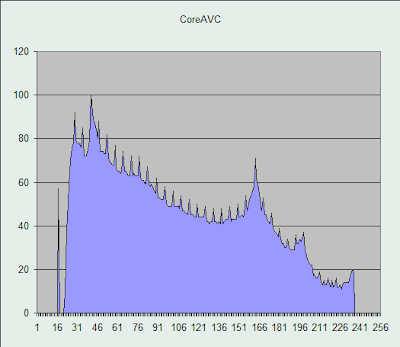 Update 2: I have discover more on AVC Decoders issues for the Canon 5D in the next post. Not only did Slumdog Millionaire clean up at the Golden Globes this year, Slumdog being a mostly CineForm RAW acquired feature shot with the Silicon Imaging SI-2K Mini, one of CineForm's engineers just won a Audi RS4 (Audi Record the Rush Challenge) from a CineForm posted video he self produced also shot with an SI-2K and a Sony V1U. Looking to be a good 2009 for those at CineForm.